Last night this single, blessed outlet remembered it was Ash Wednesday and decided it was giving up working for the next 40 days. The problem? 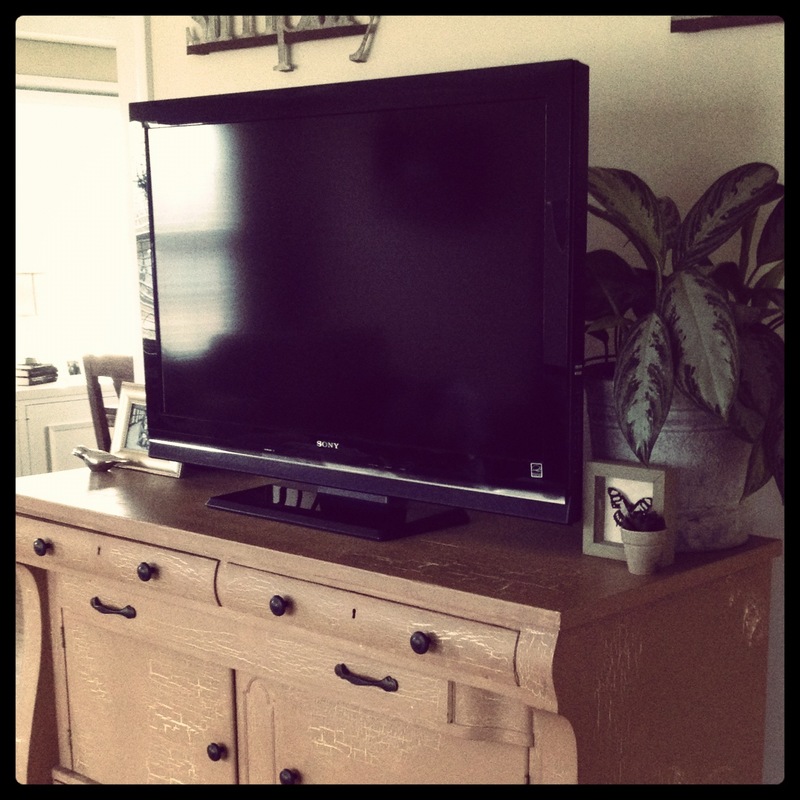 Our TV, DVR and Blu-ray player are all plugged into it. Translation: no Today show (How will I know what is happening in the world? How?! ), no watching taped episodes of Late Night With Jimmy Fallon (I’m way too old to stay up and watch it when it is actually on. ), no movies for the kids (This one is the kicker since, truth-be-told, a movie is usually in order so I can shower without worrying about what they’re eating, climbing, rearranging)…nada, nothing, zip, zilch. Our DVR runs the only other TV in our house as well so we are sans viewing pleasure until Beau can get to the business of fixing our Ash Wednesday outlet…and pushing it off the proverbial Lenten wagon. So faced with my forced fast of all things television I started to dream about what I could do with my gift of time. 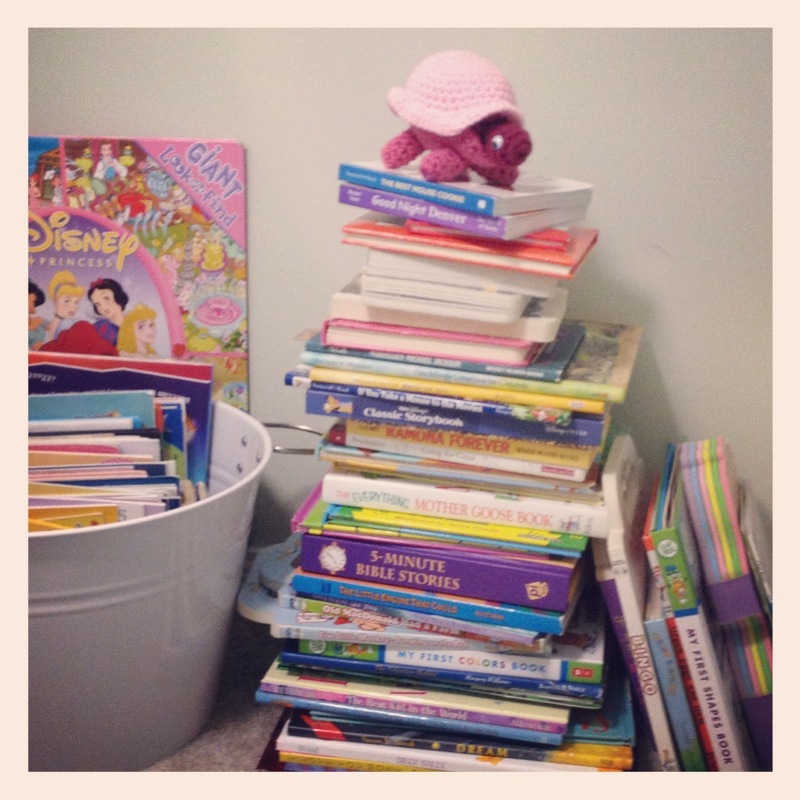 Idea #1 Catch up on some reading! I received Martha Stewart’s Handmade Holiday Crafts as a Christmas present from my friend Christine and her family. Even though they worried that the gift would just feed the craft beast they loved me enough to push through all that and get if for me anyway. That’s what friends are for! 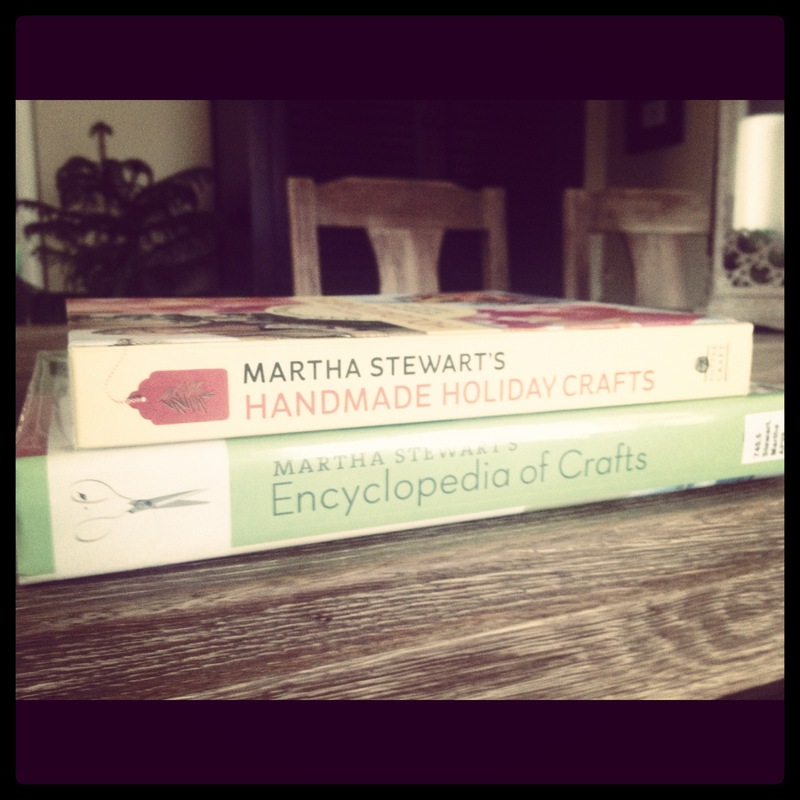 And as if that didn’t have enough brilliant, crafty goodness I had to snag the even larger Martha Stewart Encyclopedia of Crafts at the library this week. Is it just me or can anyone else feel my family visibly cringing right now!? My beauties are already picturing themselves walking up each and every aisle at Michael’s wondering how anyone can spend so much time staring at paper. And my beau is envisioning a monthly budget where craft supplies warrants its own category. Shudder, shudder. 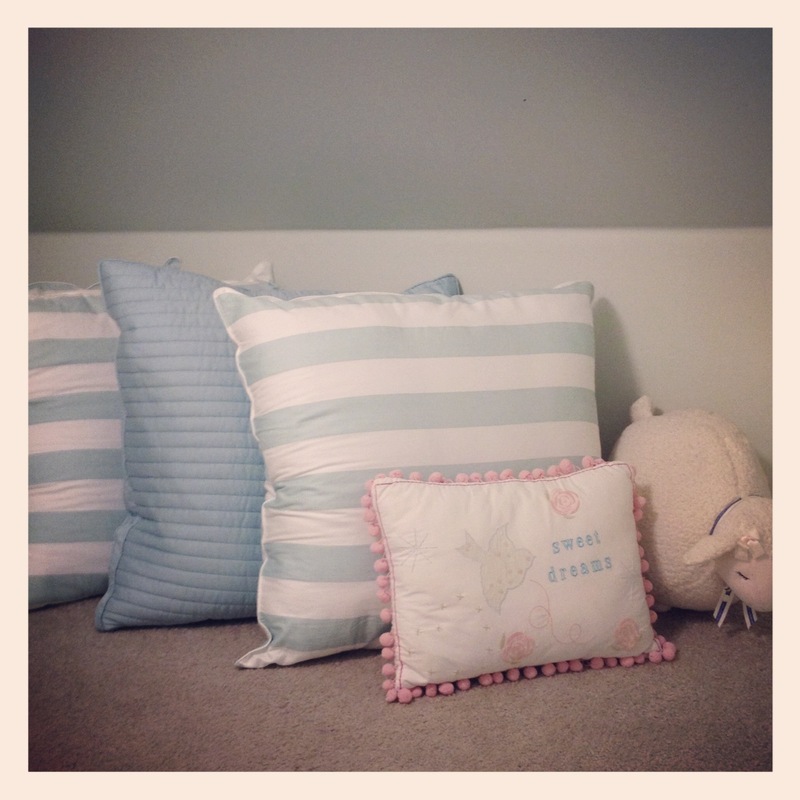 #2 Have a Decorating Brainstorm! 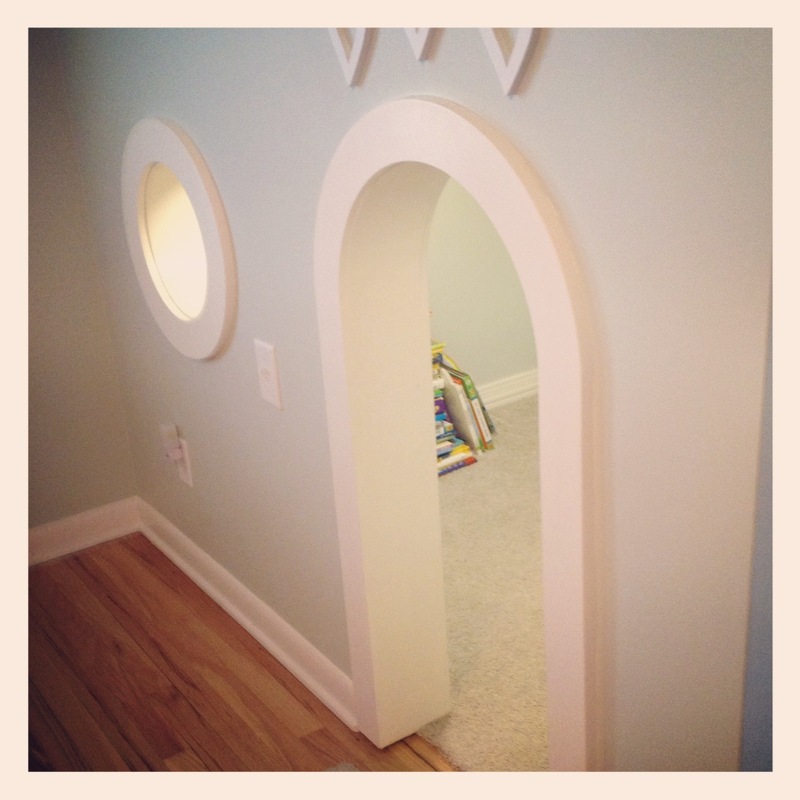 Beaut.one has a built-in playhouse in her bedroom. It was here when we moved in and it was one of the many reasons we bought this house. We have it set up as a reading nook now. Occasionally it also doubles as a castle that houses a princess in need of rescue. But let’s be honest. It is a bit uninspired. And it definitely needs some serious ‘girl-ing’ up. It just needs some work. Paint? New flooring? A welcome mat? Accessories? Garland? Art? Stencils? Ooohh…the possibilities are practically endless. 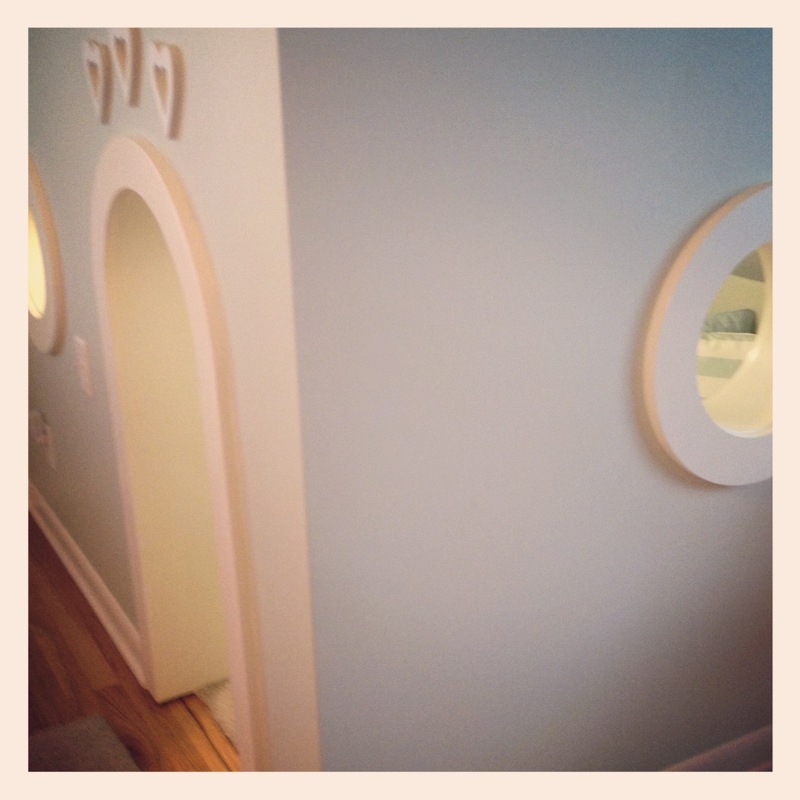 Check back to see what we decide to do with this small but dear space. #3 Try a new, delicious recipe. I discovered this recipe a few months ago and I ain’t ever gonna live without it again. It is a delicious and simple way to use this affordable cut of meat. 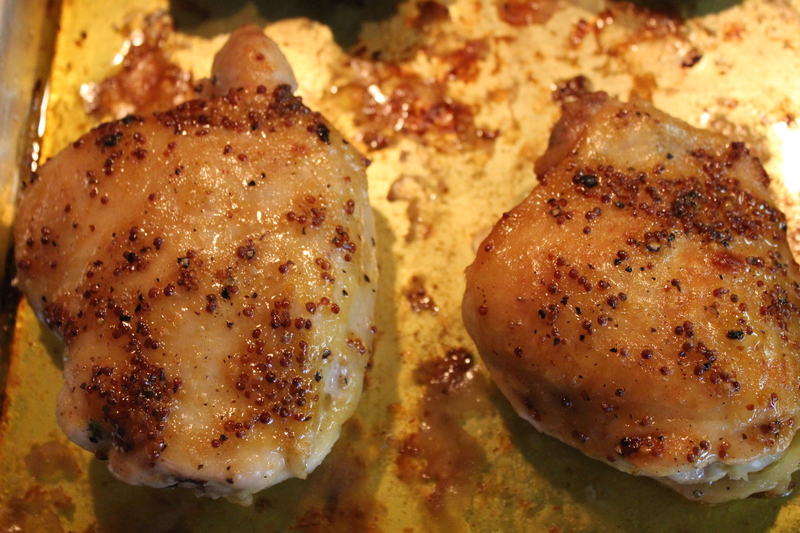 All you need to enjoy this tonight is chicken thighs, lemon juice, olive oil, salt & pepper, honey and grainy mustard. Find the actual recipe here. I’m off to read, dream and cook. I would love to hear what you would do or do do (there’s got to be a better way to say that) with your TV-free time. 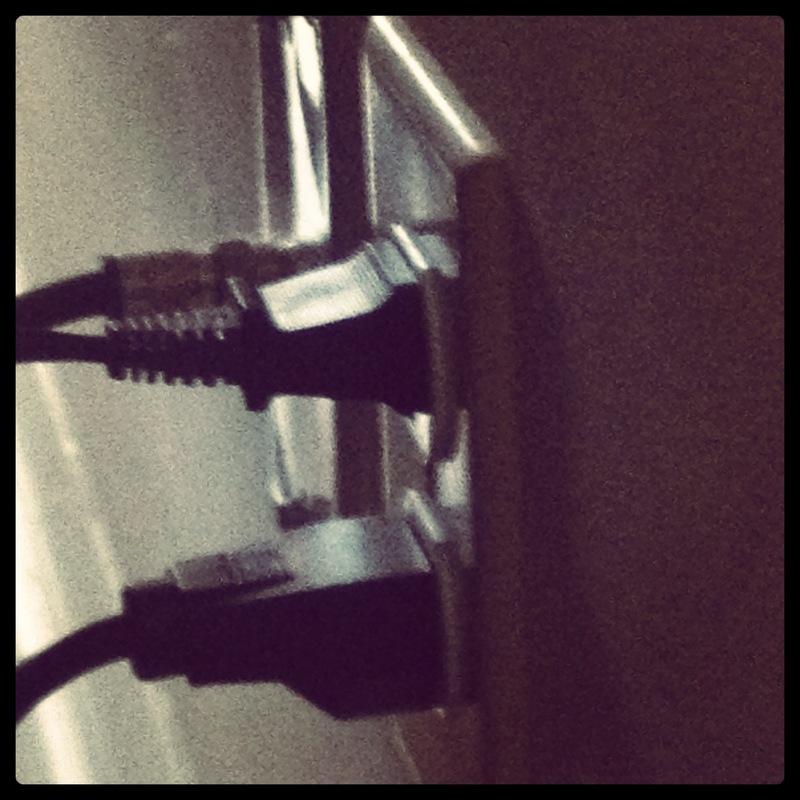 Stacey-I think you handled the outlet situation very well. 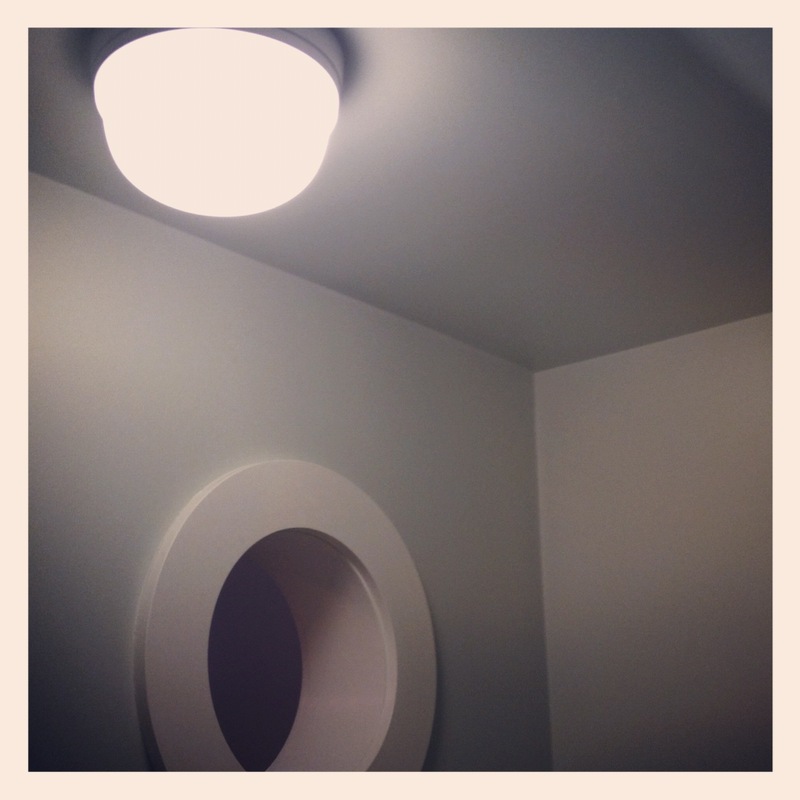 Benjamin (as in Franklin / inventor of electricity) would be impressed by your creativity, too! 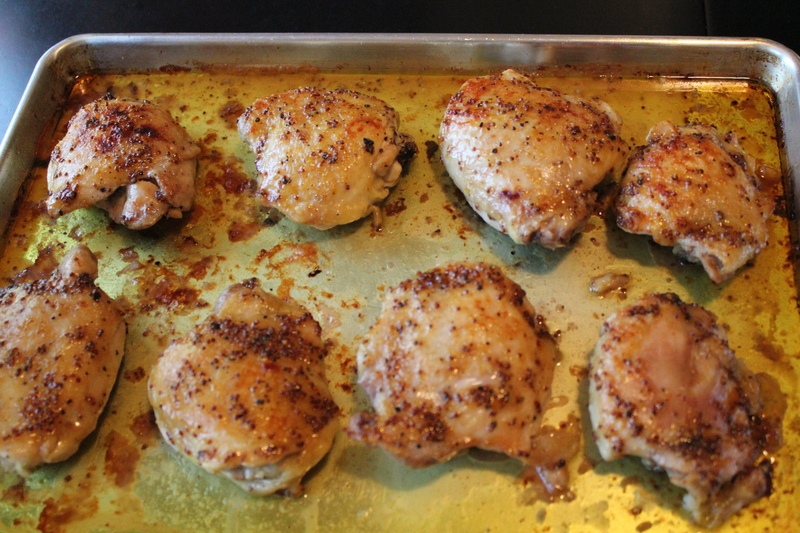 Personally, I would vote for the delicious chicken recipe….shared with a few of your favorite family members. 🙂 I am enjoying your blog! You. Me. Roasted chicken thighs. Any. time. Thanks for supporting and loving me. Love you and your creative talents! i remembered this post from long ago, and searched and searched until i found it. i am now attempting to pull this one off! thanks for sharing!!! Wishing you culinary greatness! I bet they will be delish! Can’t wait to hear how it goes!